DIY for events isn’t just about saving money; it’s a chance to showcase your creativity and effort to everyone who attends. 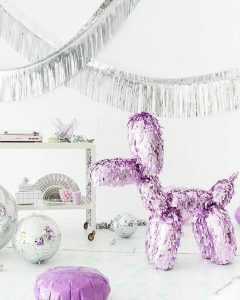 Whether you want to give your decor a home-made touch, or get your guests involved in the process, we’ve got some great ideas for how you can incorporate DIY elements into you next big bash. Instead of ordering fancy cupcakes for your next event, why not get your guests to make their own? Set up a range of vanilla (and chocolate) cupcakes, and supply plenty of fun toppings, like icing, sprinkles and lollies, even edible pictures! You can even match the decorations to your event’s theme and colour scheme. You don’t need to be limited to cupcakes either! Doughnuts, cake pops and biscuits are all great for DYI decorating stations. If you’re hosting an event in summer, you could even do a DYI ice cream sundae set up! A big section of chicken wire is easy to set up and is the perfect thing for creating an interactive and colourful way for your guests to leave their feedback or well-wishes. Make sure the wire properly framed with wood, or another material, so there are no sharp edges left exposed to catch on clothes or hair. Leave out paper and pens, or even feedback forms, so attendees can write their notes, roll them up and tuck it away in one of the holes in the gaps of the wire. Use coloured paper for an extra-lovely effect. A big step up from cupcakes, but so very on trend, especially if you’re throwing an event with a theme around the environment. Provide the glass containers as well as succulents, moss, and twigs, and make sure you have plenty of hand soap to wash the soil off after! If you want to go the extra mile, leave instructions for how to care for their new terrariums and a carry bag to transport them home. This is definitely a bigger investment than desserts, but it is sure to be a truly memorable experience. Whether you want to set them up beforehand, or have your guests contribute, strings of paper cranes and folded flowers add elegant whimsy to any event. Because there’s no mess involved (traditional origami folds don’t require glue and scissors), if you want your guests to get involved just leave instructions on how to fold the designs you like, and where they can be hung up. Make sure you leave out squares of colourful paper at individual tables, or at each attendee’s place setting!